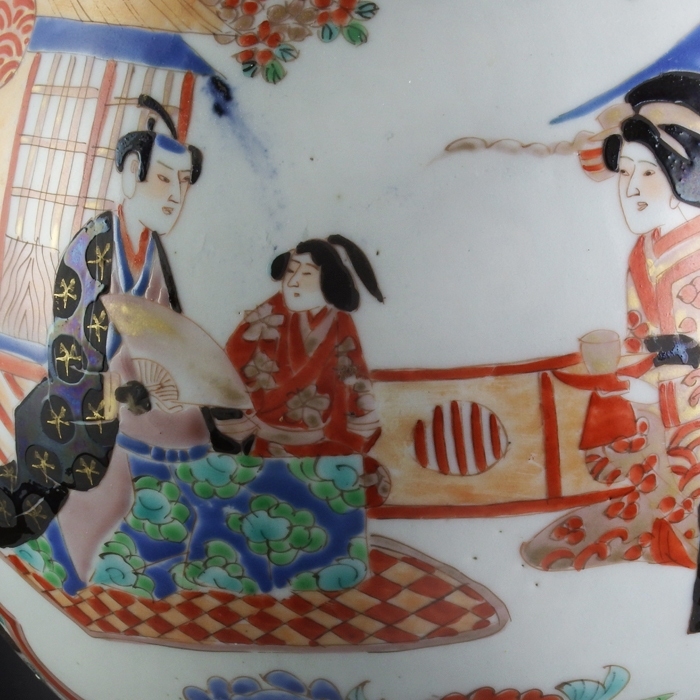 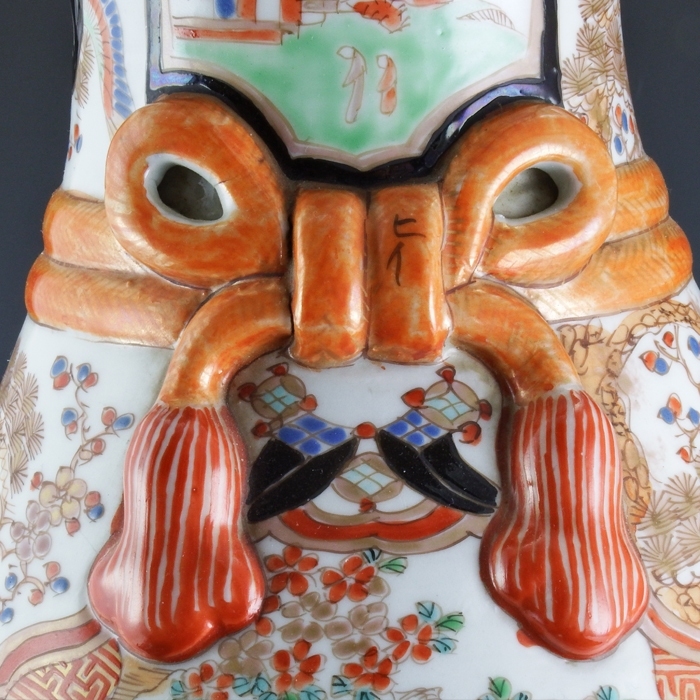 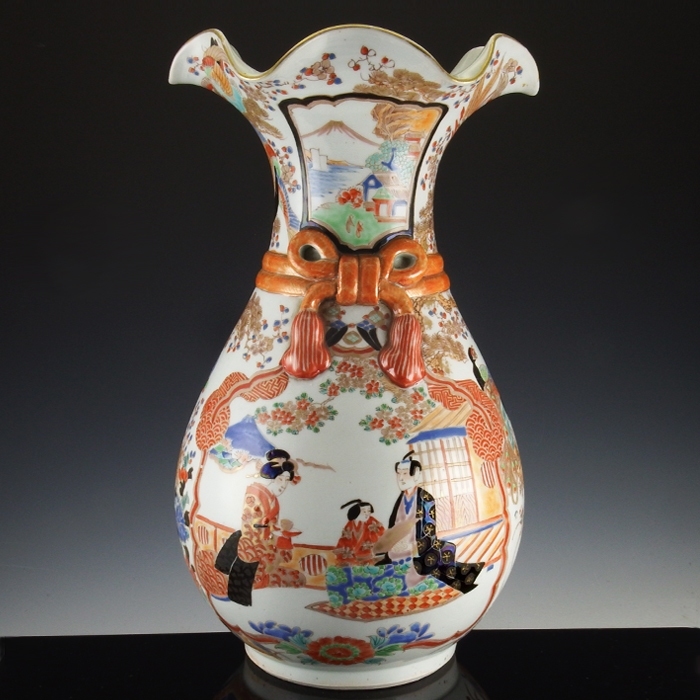 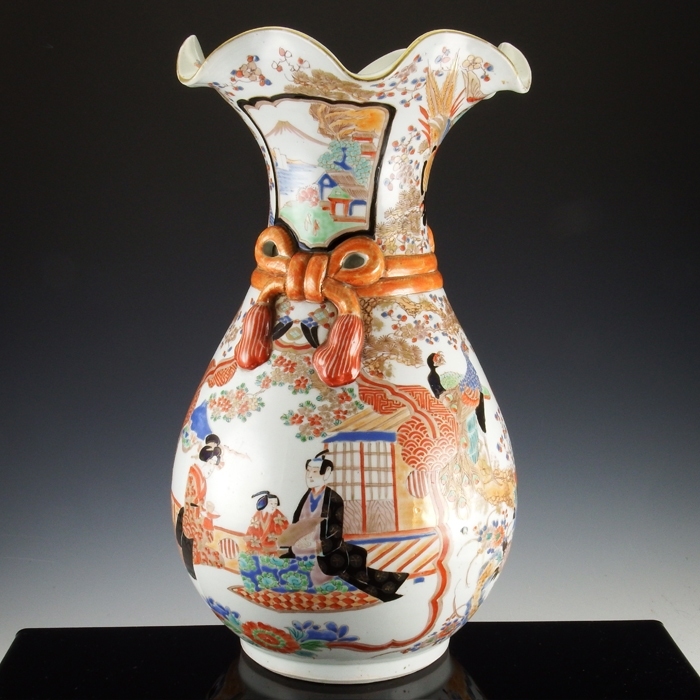 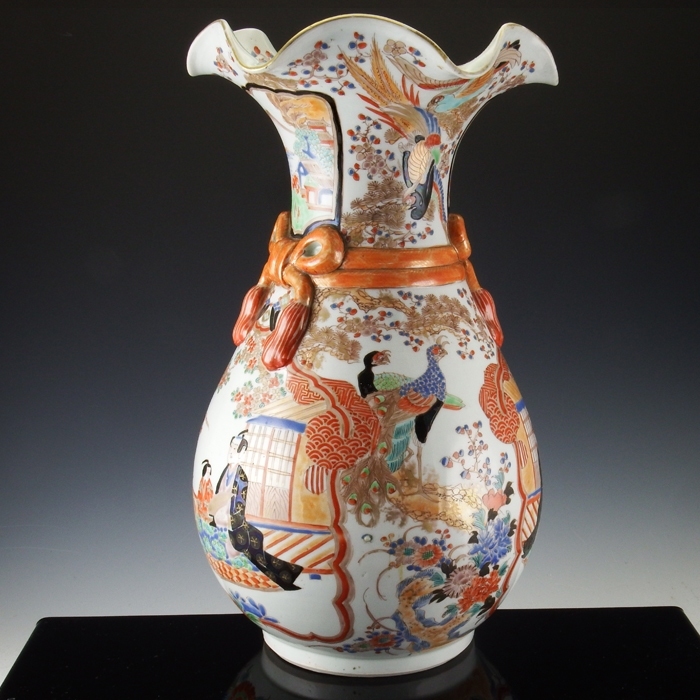 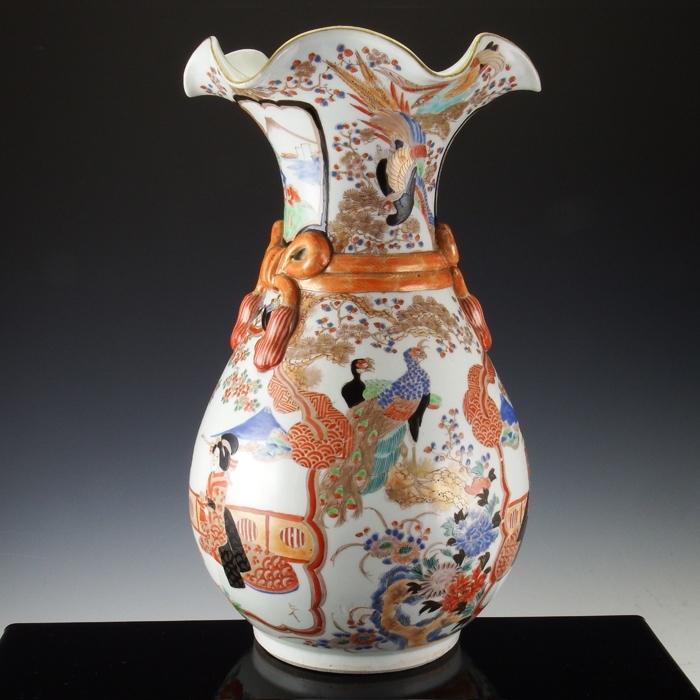 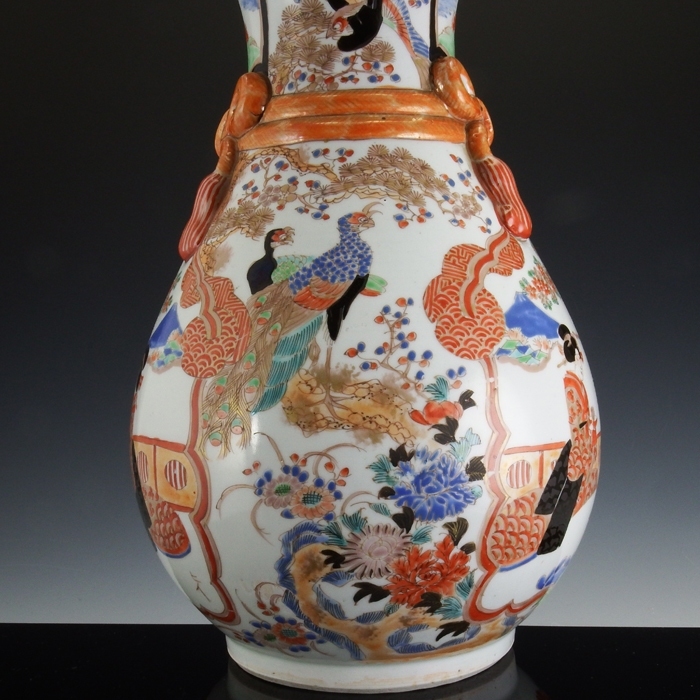 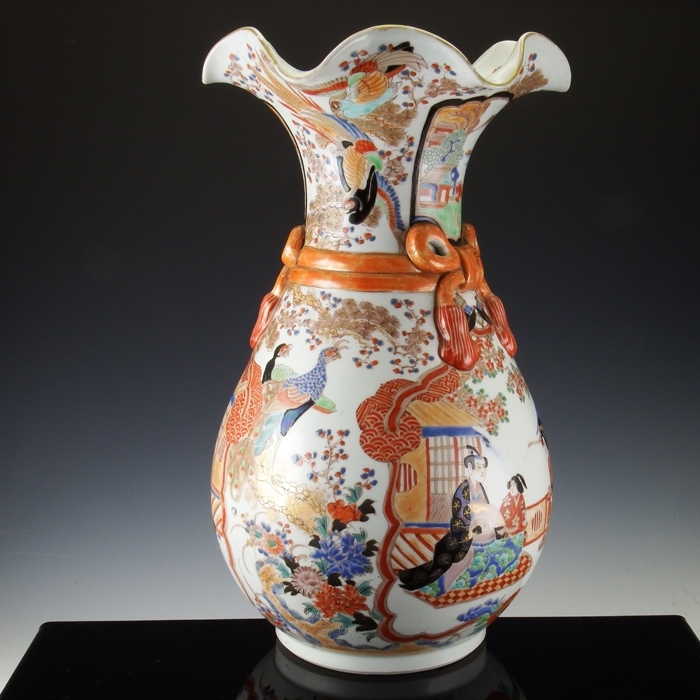 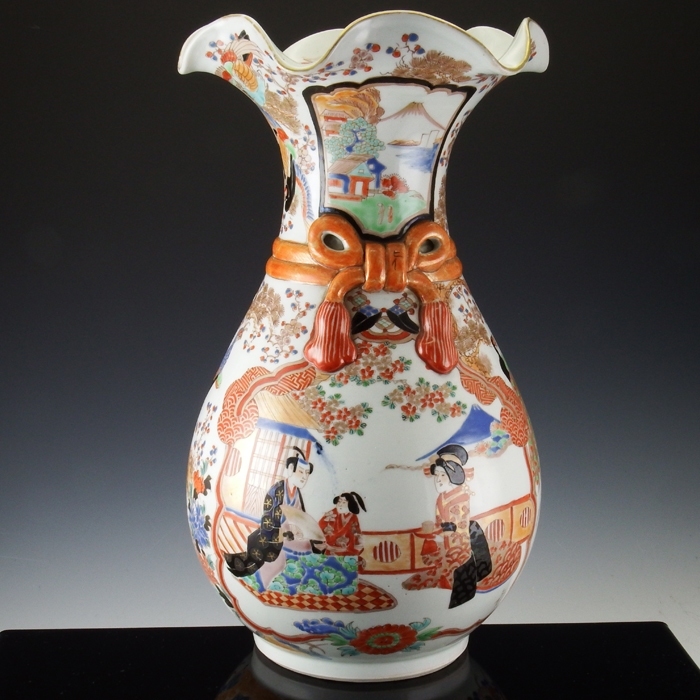 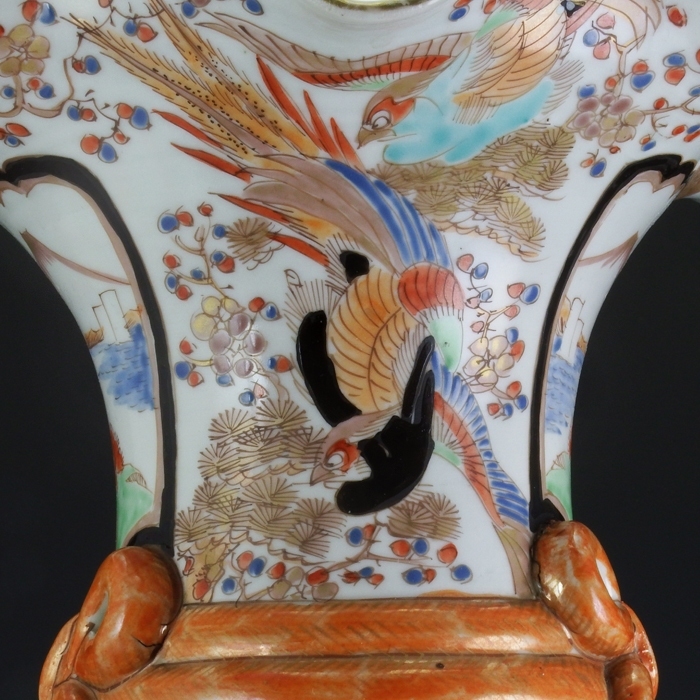 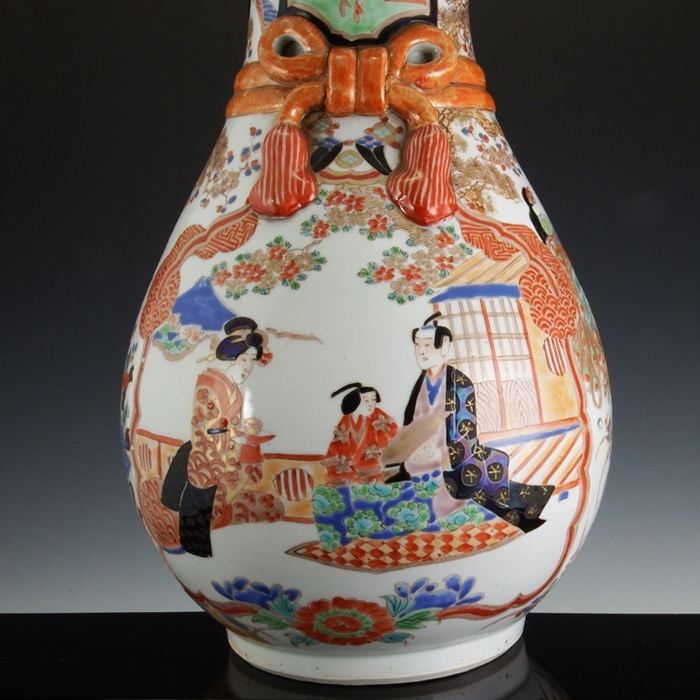 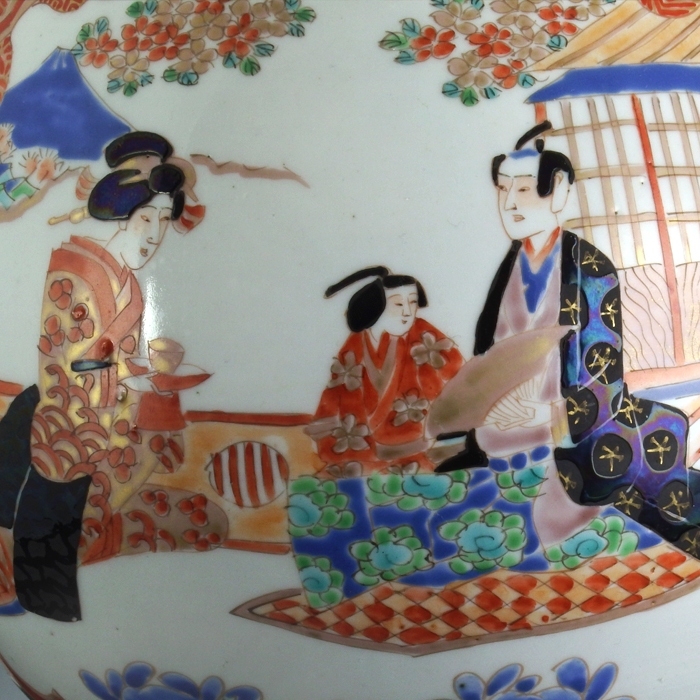 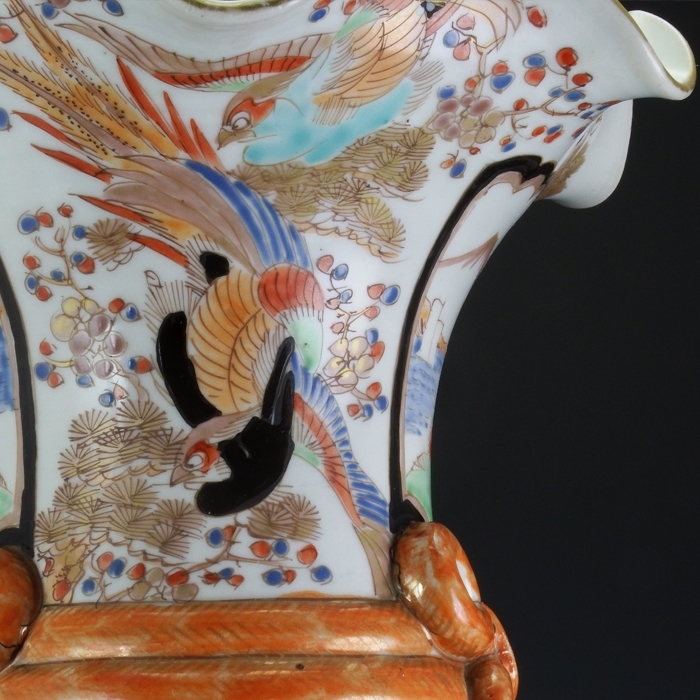 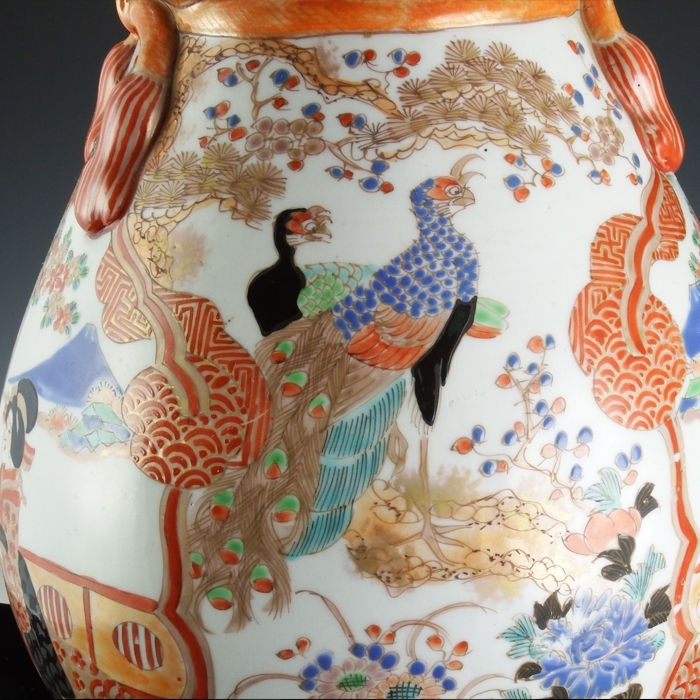 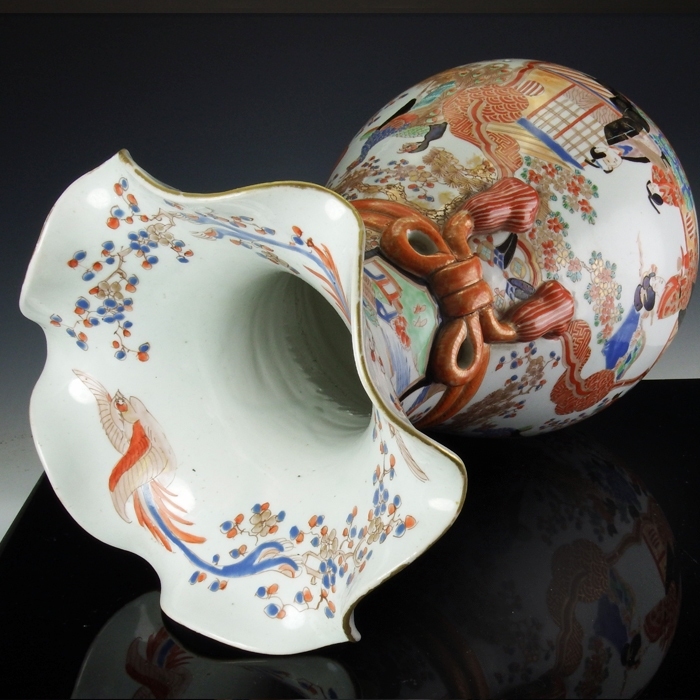 Large porcelain vase, decorated in the Japanese Imari enamels from the Arita area. 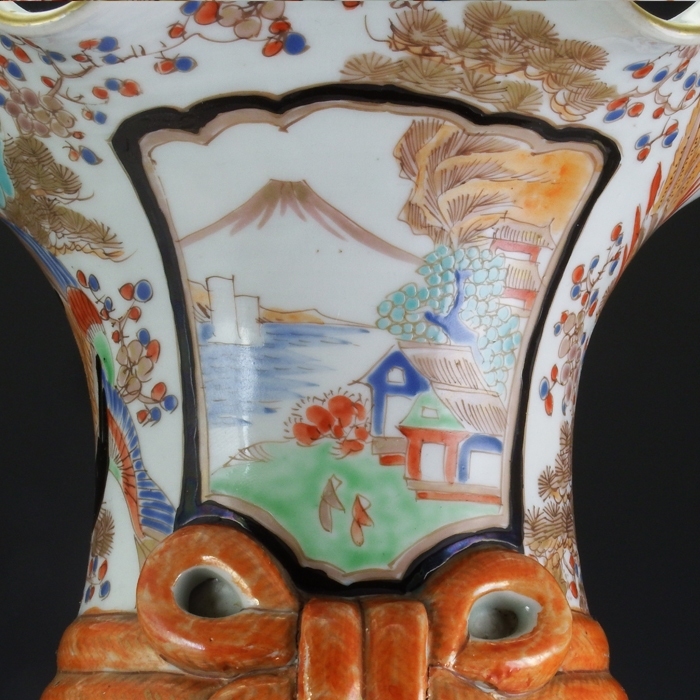 Very attractive design with a boldly scalloped rim and a double rope with two bows around the neck. 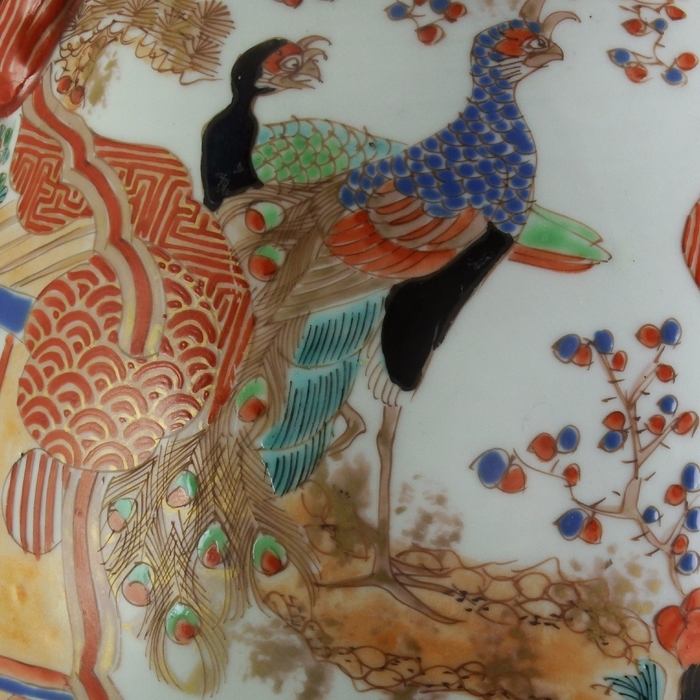 Richly decorated with various flowers, birds, landscapes and scenes from court life. 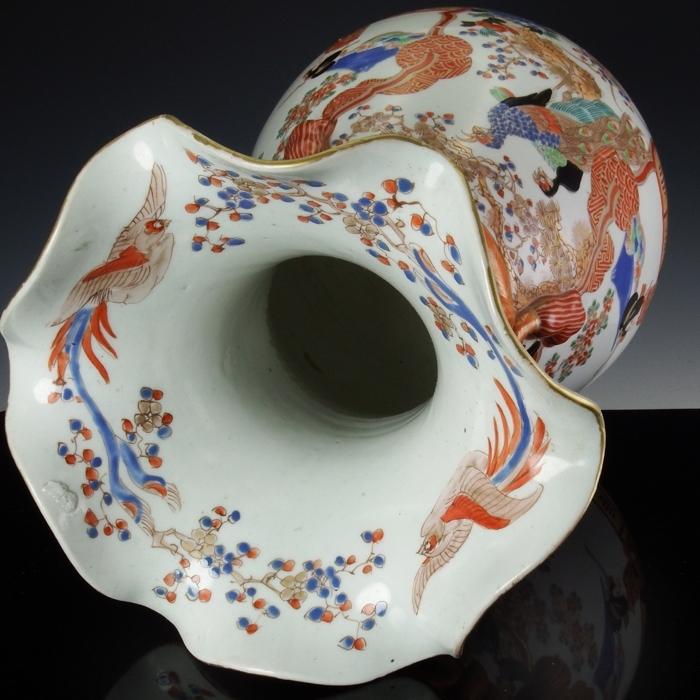 The inside of the scalloped rim is decorated with birds and flowers. 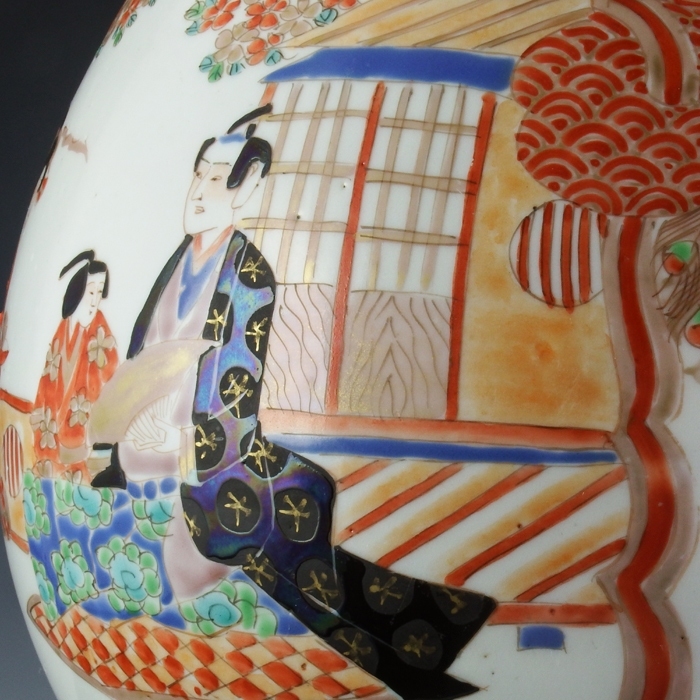 Signature on the bottom: Hichozan Shinpo (trademark of Tashiro Monzaemon). 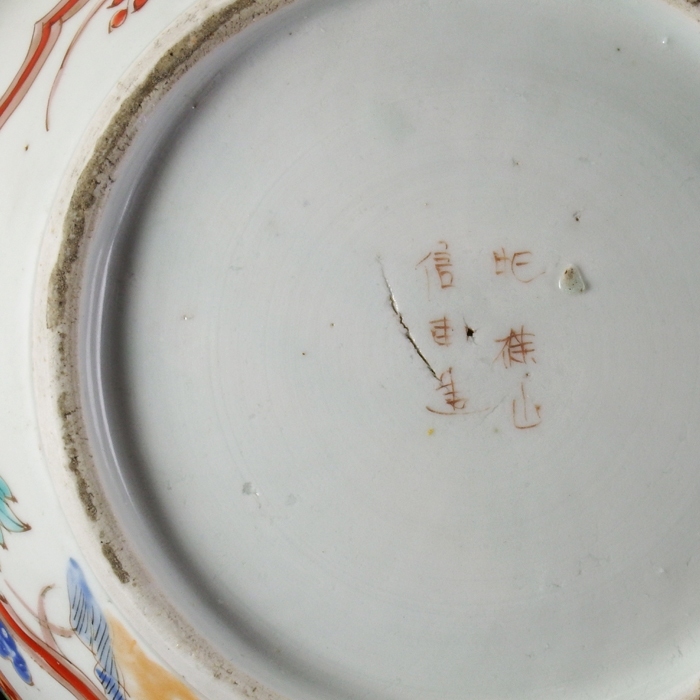 The vase is in excellent condition, some minor baking flaws (see detailed images 8-20).